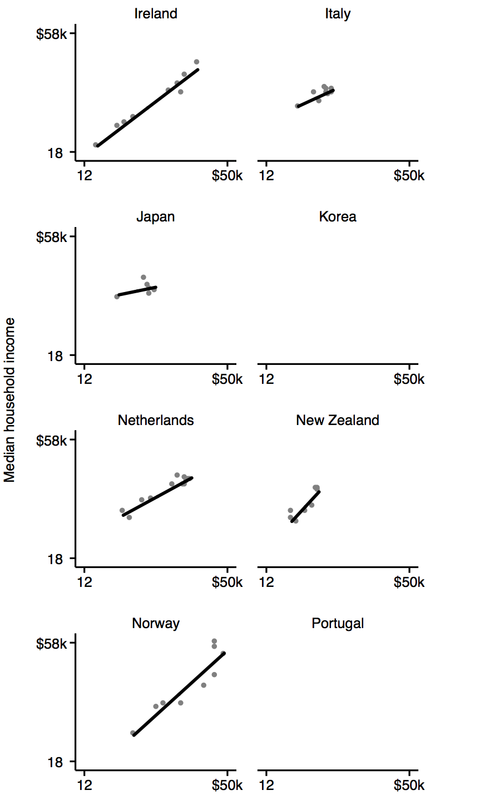 Figure A1 shows household incomes at the 25th, 50th, and 75th percentiles. The incomes include government transfers and subtract taxes. Top lines: 75th percentile. Middle lines: 50th percentile. Bottom lines: 25th percentile. 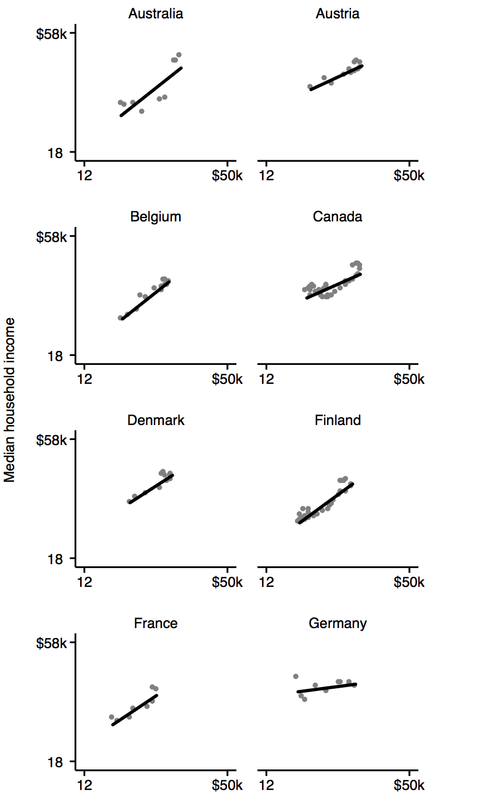 Thick lines: Luxembourg Income Study (LIS) data. Thin lines: OECD data. Posttransfer-posttax household income. The incomes are adjusted for household size and then rescaled to reflect a three-person household, adjusted for inflation, and converted to US dollars using purchasing power parities. “k” = thousand. 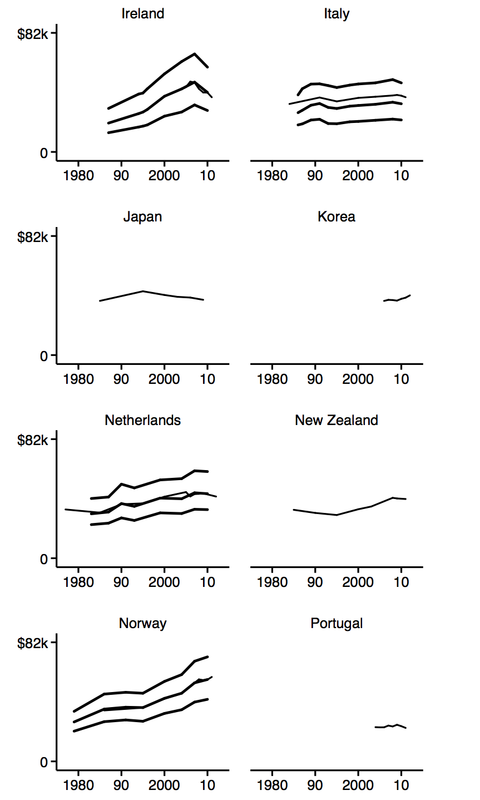 How much economic growth reaches the middle class? 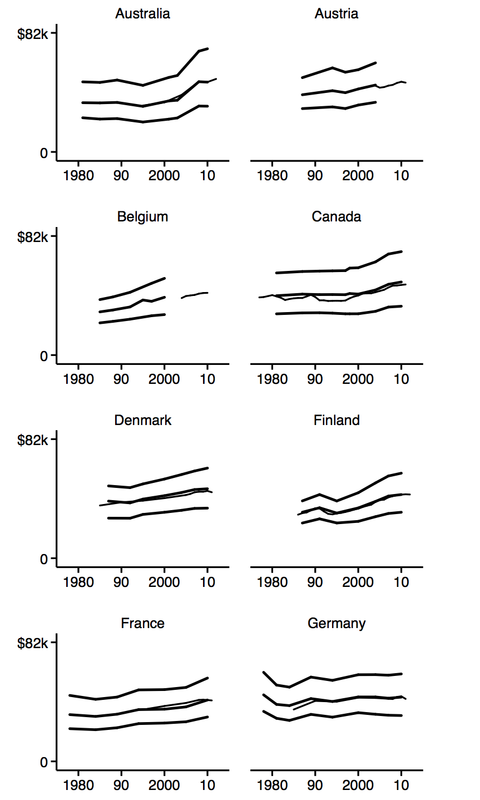 Figure A2 shows median household income by GDP per capita from 1979 to 2013. The data points are years. 1979-2013. The lines are linear regression lines. Household incomes are posttransfer-posttax, adjusted for household size and then rescaled to reflect a three-person household. Household incomes and GDP per capita are adjusted for inflation and converted to US dollars using purchasing power parities. “k” = thousand. Data sources: OECD; Luxembourg Income Study.